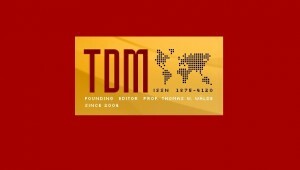 Transnational Dispute Management will publish a special issue in late 2014, “Arbitration in the Middle East – expectations and challenges for the future“. The Special will look at some of the differences between the Western and Middle Eastern perceptions of arbitration, and will also consider expectations for the future. Some potential topics include: (a) the legislative framework to support arbitration, including new arbitration laws and regional arbitral centres; (b) whether the modern concept of arbitration can resolve Shari’a disputes; (c) the role public policy should play in relation to judicial involvement with the arbitral process and enforcement or arbitral awards; (d) whether arbitral processes or arbitral laws could or should be reformed so that arbitration better suits the needs of today’s Middle Eastern users; and (e) claims under international investment treaties arising out of regional regime change, particularly in North Africa. Contributions can focus on one or a number of countries and comparative pieces referencing a number of jurisdictions would be welcome. Papers should be submitted directly to the editors (craig.shepherd [at] hsf.com and mike.mcclure [at] hsf.com) by Sept. 30, 2014, with a copy to info@transnational-dispute-management.com when you submit material.